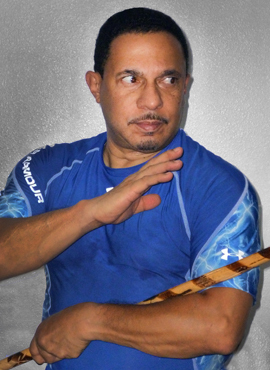 Martial arts instructors are a dime a dozen. There are people who will teach you kicking, punching, throwing, and choking all over the place. They’re looking to train fighters, warriors, champions, masters, and build dynasties around their name or style. Some will develop a chain of schools to further their name. They design logos and patches that look fearsome. They are often 6 feet plus tall and 350lbs of badass, and propose to teach 5 foot 1, 90lb ladies, to defend themselves, just like he would, never mind the disparity in size and strength. Hmmm, maybe I’m not a martial arts instructor? For me the old days are the 60’s and 70’s. That’s when I was a child and young man in the martial arts. The first thing you were taught then was restraint, what not to do. Don’t wear your uniform in public, in fact, roll it up and hide it. Don’t play around doing techniques with non students, and not in public. Don’t brag. Don’t make a move in class that the teacher didn’t say to. Don’t speak unnecessarily. Don’t have a conceited, angry, jealous, or self pitying attitude. These days it’s not uncommon to see someone wearing their white, black trim, TKD uniform with “Master Lee Fighting Tigers” name and phone number logo in bright colors shopping in the mall. I’ve seen a whole family like that: mom, dad, and 2 toddlers! Obviously they weren’t told about restraint. Teenagers horse around in the park doing unrefined beginner round kicks and trying to body slam each other to show who’s kung fu is better. I notice there is seldom any real conversation between Instructors and students. They come to the dojo, bow in, start doing the 1-2-3’s of whatever movements, 45 minutes later teacher and students go home. I can remember classes where there was discussion, during class, sitting on the dojo floor. Discussions about human nature, fear, and survival, not just abut the next tournament or belt testing. This of course relates to the quality of most of the martial arts students out there. They’re throwing punches and kicks and each other around, terribly! The lack of restraint they start with leads to lack of control. They have no balance, in the most basic sense of the word, like being able to stand on one foot without wobbling. Unless you have a serious handicap, a black belt should be able to balance on one leg. Higher skill? Execute that round kick broken up into 4 parts holding each for 5 seconds with poise and balance. What about precision? Movements should be executed with optimally defined mechanics. But if you start with an out of balance wobble, that wobble only get bigger each step of the way. That is the instructor’s fault. For letting you get away with it for the recurring income sake. For not teaching restraint, humility, and perseverance. Qualities which transcend mere martial arts training. They especially leave out love and compassion. But those are the qualities I look for in a student. Those are the qualities I want to impart in a student. The kick throw punch stuff should build on that. As a martial artist I’m looking to help make the world a better place, not fill it with super power assholes. A few years ago one of my instructors; a long time quality practitioner and well regarded master instructor, decided we would eschew the titles of Master, Sensei, Shihan, etc. and just be called “Coach.” I like that. The Asian titles lack the same significance in our culture versus theirs. We can be respectful without being reverential. “Coach” implies that we are working together for an improvement, potentially in each other, whereas the other titles imply a distance, a separation; “I have achieved and need do no more, you must try to be like me.” A coach personalizes for you. A coach cares about you as a full package; body, mind and spirit. Me, I am a “Coach!” I’m still working for improvement on a lot of the same stuff. Also, and this is not too fine a point; A coach is looking to make you better at something, even better than he might be himself! Want an example, look at the boxing world, the fighters who make tens and hundreds of millions of dollars per fight, who are their coaches? Older guys with Parkinsons, arthritis, slow and stiff, overweight. Most of them CAN’T fight well. What makes them the guys who “coach” the young, agile, prime of their life athletes? That they are capable and skilled at improving their prospects to excellence. So. I wont be one of the “dime a dozen” martial art instructors. I’m a Martial Arts Coach.